Everyone remembers flying kites as kids. Running with the paper or plastic kites, trying to make them fly. The Charlie Brown Comic Strip and the Kite Eating Tree. What most people don't realize is that kites evolved through the 1970's and 1980's. Using more advanced fabrics, and building materials. Growing larger and larger, until the 'sticks' in the kite became unwieldy with a 20 foot or greater wingspan. Enter the inflatable kite and the sizes continued to grow. 88 foot Octopus, 36 foot Penguins, almost 100 foot Manta Rays and more! These have been described as giant balloons like in the Macy's Parade, but these are all kites that are inflated by the wind and rise above the field bringing Joy and Awe to spectators of all ages. 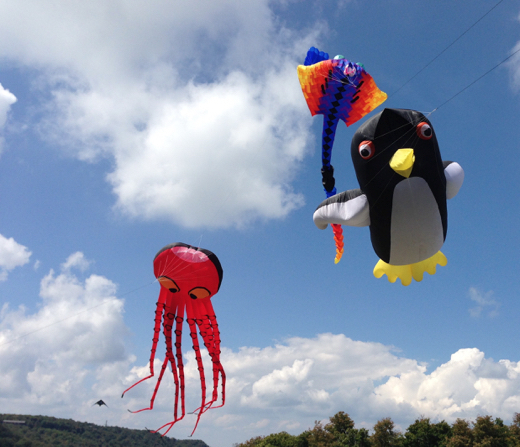 These large kites are mostly custom made and/or made to order and can cost thousands of dollars each, and that is just for the kite. There is also special kite line (some would call rope) with tensile strengths in the hundreds to thousands of pounds, anchoring equipment similar to mountain climbing gear, and additional kites to help stabilize, or 'pilot', some of the larger less aerodynamic kites, or to help in shifting winds. All of these things are for safety. All Serious Kitefliers are concerned about safety, not only for themselves but for the safety of the spectators. 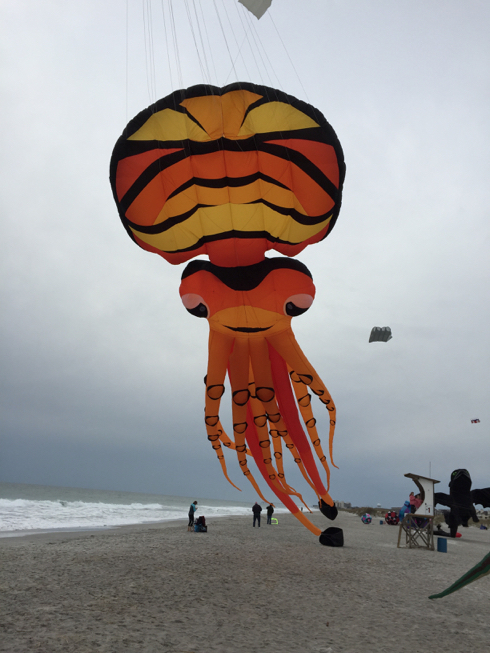 A Kite that is 100 feet long and 32 feet wide and is completely inflated is soft to the touch, but as the wind lifts it into the air the kite lines come under tension. 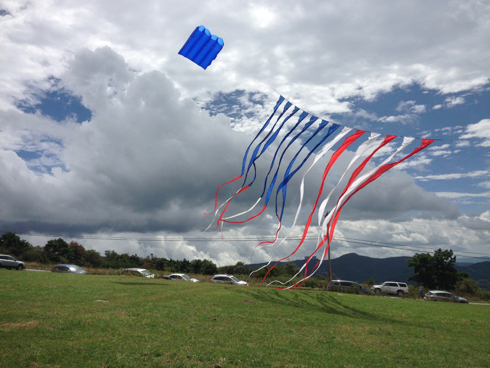 People can get caught in the lines and lifted with the kite, 'rope burned' or cut by the line if touching it as the kites move, knocked down with sudden wind shifts. General Safety is always present. Never fly near power lines. Never fly in rain storms. Flying near airports is against the law (for obvious reasons). Large open fields separate from general public spaces are generally required to keep everyone safe and allow the show to fill the sky. Several show kite fliers travel to festivals around the world helping to put on a show for the local festivals, as augmentation to other kites, or as the main attraction.